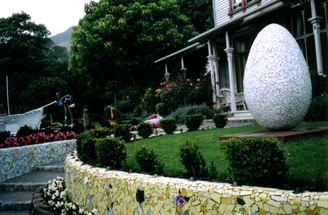 The Giant's House - A historic Akaroa house with original artworks, terraced gardens with sculptures and mosaics. Very Unique. A creative feast and a wonderful experience. 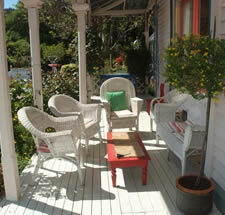 Romantic secluded and quiet, but only a few minutes walk to the centre of Akaroa. 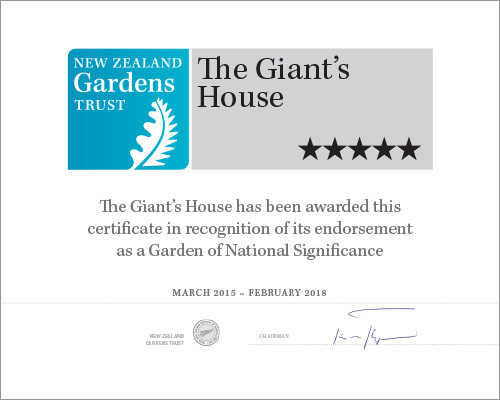 The Giant's House was the first bank managers house in Akaroa, built 1880 of totara and kauri. It is grand in size, proportions, and features. Elegant and comfortable, it is designed and decorated in the french style. 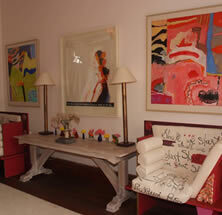 Being the home of an artist it balances and contrasts the historic and contemporary. 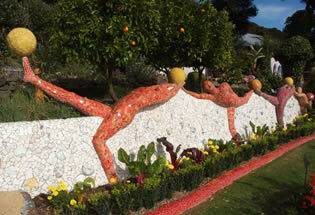 Both the house and terraced gardens are full of surprises -expect the unexpected at The Giant's House! 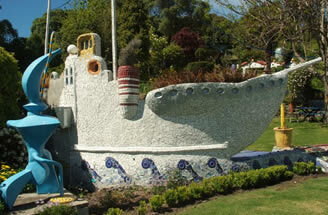 The Giant's House has featured on top television programmes and in numerous house/art/garden magazines. 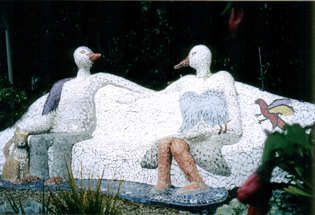 The house has many extraordinary features - a grand entrance hall with mahogany staircase imported from France, original open fireplaces, beautifully proportioned rooms, a conservatory with mosaic floor, a large sunny sheltered verandah, quirky bathrooms, bright yellow farmhouse kitchen, comfortable large bedrooms with unique artistic features and artwork throughout. 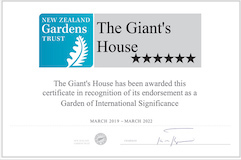 At The Giant's House you will be pampered, and stimulated, in surroundings that will uplift your soul!- a very special experience, quite 'out of this world'. Seriously playful yet charming and elegant. 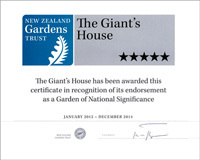 The Giants House has been awarded for its recognition as a Garden of International Significance since 2018, and National Significance since 2012.